A recipe adapted from the book ”The most popular 60 dishes of Southeast Asia”. A refreshing appetizer that is sure to increase one’s appetite. 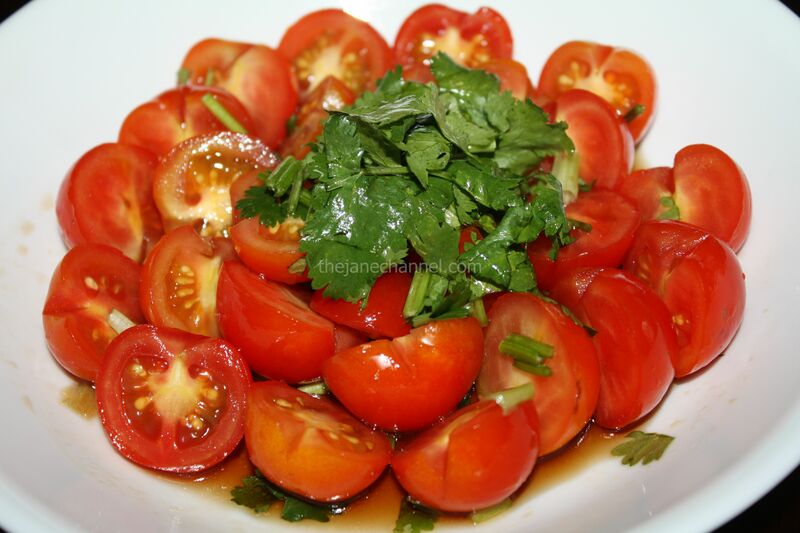 Pour dressing over cherry tomatoes and cilantros in a serving dish, and gently stir to coat. what a good looking appetiser!